The lion’s share of the client work I do today, is consulting based. To date, I’ve worked with over 300 clients in more than 105 different industries. Here are the kinds of results I routinely get. Lots of my clients hire me for strategic help with their marketing. Things like, how to create or improve your sales funnels… how to improve your offer and convert more prospects into buyers… how to generate more leads and more qualified leads… how to improve your positioning within your marketplace… how to identify and develop a proprietary USP (Unique Selling Proposition) or marketplace differential… and everything and anything in between. Other people just want me to review their current sales and marketing processes, and give them my opinion on what’s happening and why… and how to improve what’s going on, in certain specific areas. Some people need guidance on how to systematize their marketing. For instance, a client recently hired me because he is overwhelmed with business – which is a good problem… sort of.. The problem is… on top of this, his clients were running him around like he’s a circus clown who’s supposed to drop everything and entertain them at their whim. In this particular situation, i helped him develop and create a lead generation system that completely eliminated people like this from coming into his sales funnel, and attracted the kinds of clients he wants, instead: Clients that are ready to hire you now, and who are willing to work under YOUR terms and conditions — not theirs. We also worked on putting together a marketing system that did all the “heavy lifting” for him. This minimized the amount of time he personally had to spend dealing with prospects. In other words, his marketing and advertising did all the filtering out for him. This way, by the time you get involved with a buyer, there is virtually no selling to do, since your marketing has already pre-sold everything to him. Instead of a sales call, your interaction is more of an “OK you’re ready to go, let’s get started” kind of a conversation. Everything, including parameters and the “do’s and don’ts” my client wanted his buyers to have, is now delivered for him automatically. And yes, I also helped him come up with his “do’s and don’ts” list. Lastly, a lot of my clients need help with their sales copy. Some of them hire me to create all the advertising and marketing pieces and write everything. Others just need some guidance on how to communicate more effectively. For most of my consulting clients, we always have “some” detailed conversations about sales copy. Things like what to say, and… maybe even more important — what NOT to say. Obviously, communication is critical to everything you do in business – but especially when it comes to generating leads, selling, and closing. You can e-mail me at craig At kingofcopy.com. Let me know about you and about your project, and please be as specific as possible. I’ll get back to you and set up a time for us to chat about what’s going on with you and your business, and what kind of help you need. I’m generally very busy but I do try and respond reasonably timely to emails. Obviously, everything we discuss is confidential, so feel free to share anything you think will help me, help you. Oh, one more thing, and this is important: I am NOT a pushy or salesy type of guy. If you want to hire me, great. If you don’t, that’s fine, too. As I said earlier, since March of 2000, I have worked with over 300 clients in more than 105 different industries. I’m an author and have been publishing a monthly offline newsletter since April 2006. And I have close to 2,000 posts on this website. If a conversation with me, and all of this other content, isn’t enough to convince you whether or not we should work together, that’s your prerogative. I guess, what i’m saying is… I’m not in the convincing business. If I have to “convince” you that you’ll benefit from working with me, then this means it’s more important to me than it is to you. And that’s never a good way to start any business relationship. Just be open and direct with me when we speak, and you have my word, I’ll be the same with you. This way we can accomplish a lot and do it purposefully and with integrity. Which is the only way I work. Thanks for taking the time to read this – may you have good health and good luck, always. 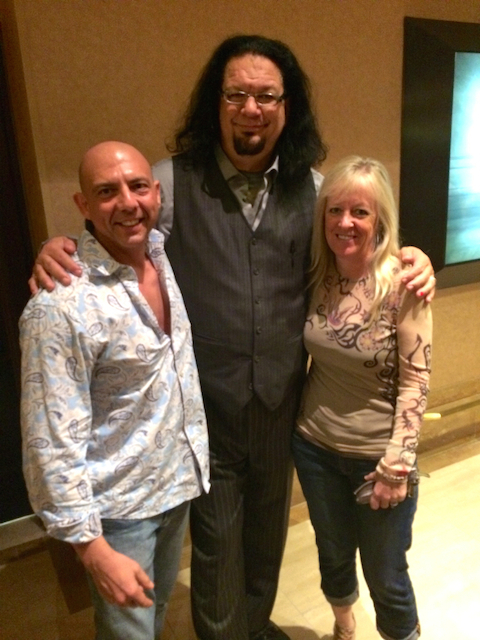 With my wife Anne and Penn Jillette at The Rio in Las Vegas, after his show.